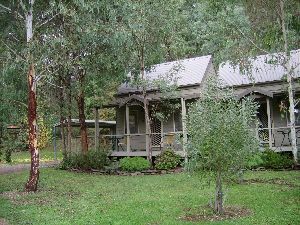 Sit on your deck; hear the river, a multitude of birds, taking in the views of garden soaring mountain ranges, walk the gardens, take a private track along the river or up on to mountain behind your cottage. 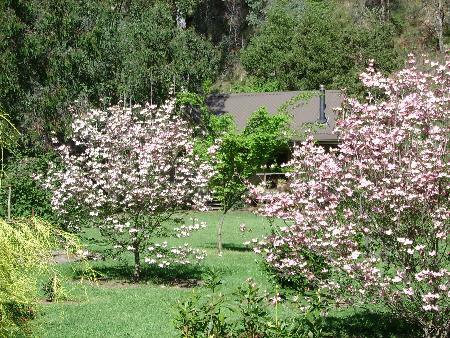 It's the perfect place for families or couples to rest and soak up the natural peace and tranquillity of our wonderful high country environment. 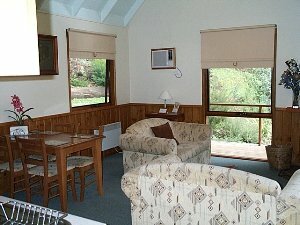 Modern 2 bedroom alpine cottage superbly finished with spa, full kitchen, laundry, wood and electric heating. 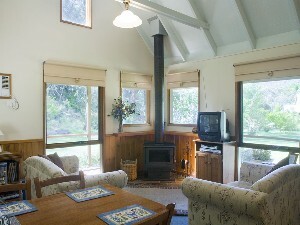 Verandas and outside living area with barbeque facilities and fire urn. 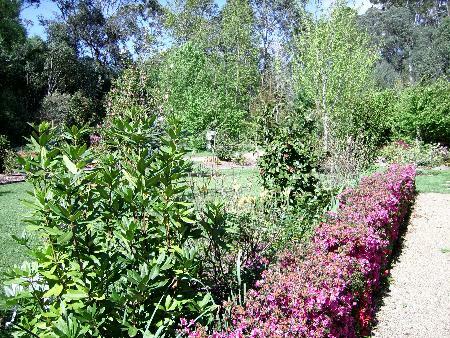 Enjoy the unique bush and landscaped surrounds of this 12.5 ac. property set on the ovens river and bordered by state forest. Modern 1 bedroom alpine cottages magnificently furnished. With all electric heating, kitchen, deck and barbeque with your own outdoor settings. Queen sized bed, DVD TV video, shared laundry. 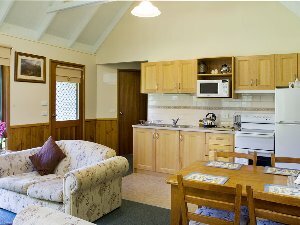 Both cottages are only 30 metres from the river and are very secluded, private bush with tracks immediately at rear of the cottages. This is a truely unique destination. 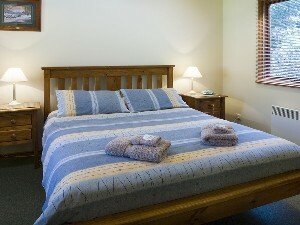 A modern 2-bedroom fully self-contained alpine accommodation, set with independent access, upstairs with a large balcony. 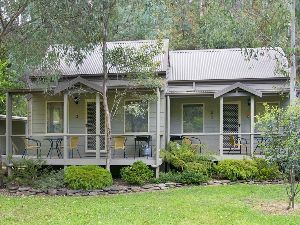 Superbly finished with spa, separate lounge and kitchenette, laundry, TV/video, airconditioner, CD player and barbeque facilities enable you to enjoy the unique 12.5ac bush and landscaped property set on the ovens river and bordered by Forest. 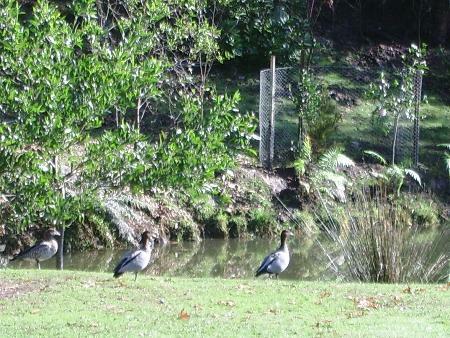 All this only five minutes walk from the mountain village of Harrietville.